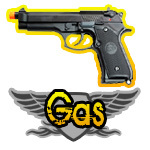 Huge selection of Electric, Gas, and Spring Airsoft Guns! Tracking information provided for every purchase on your personal and convenient order status page. Renegade airsoft is your one stop airsoft shop. 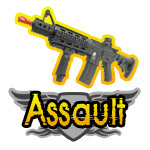 We stock hundreds of airsoft rifles, airsoft pistols, and airsoft accessories. Our site is designed to help you find exactly the guns and gear you're looking for. We're the best place to get your new gear, period. Why? First of all, our prices are low and we ship fast. We offer excellent service and best of all, all of our products are covered by a 30 day guarantee. You can be assured that if you buy from us you will not be disappointed! We carry high quality airsoft guns from quality manufacturers such as UTG, ICS, Heckler & Koch, Cybergun, TSD, and Echo 1, to name a few. Not only do we carry a wide array of airsoft guns, we also carry the finest accessories and have a great selection of BBs. You can find scopes, sights, tactical gear, practice targets, upgrade kits, and more in our selection of accessories. Our BBs range from low priced 0.12g BBs to top quality, ultra smooth, 0.28g bio-degradables. YOUR satisfaction is our goal. If you have any questions whatsoever or need assistance with a product you have purchased from us please make sure to contact us. We will do our best to answer any questions you may have. We hope you enjoy your stay. Thanks for visiting Renegade Airsoft!